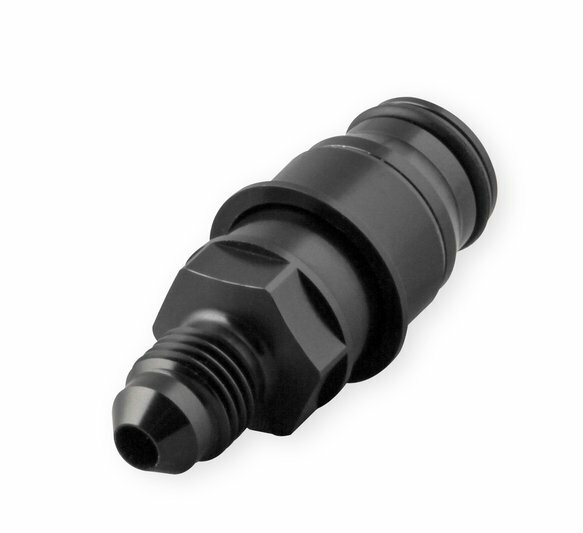 Clutch Adapter Fitting, -4 AN Male to Quick Connect, Fits Late Model T56 Hydraulic Clutch Release Bearing, Aluminum w/ Black Anodized Finish. Includes Release Tool. 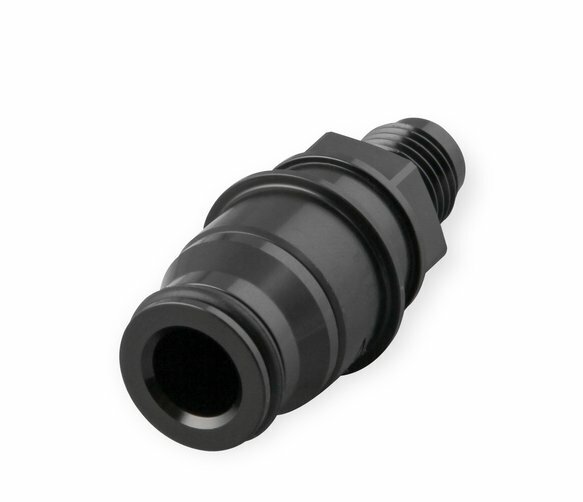 Use w/ AN 4 PTFE Lined Hose Suitable for High Pressure Applications (i.e. Earls Speed Flex or Similar Hose). The hydraulic clutch system on late-model GM LS vehicles uses a plastic clutch hose that is tough to modify when doing an engine swap. The OEM plastic hose can also expand and many not work correctly in high heat, high pressure, or with a racing clutch. 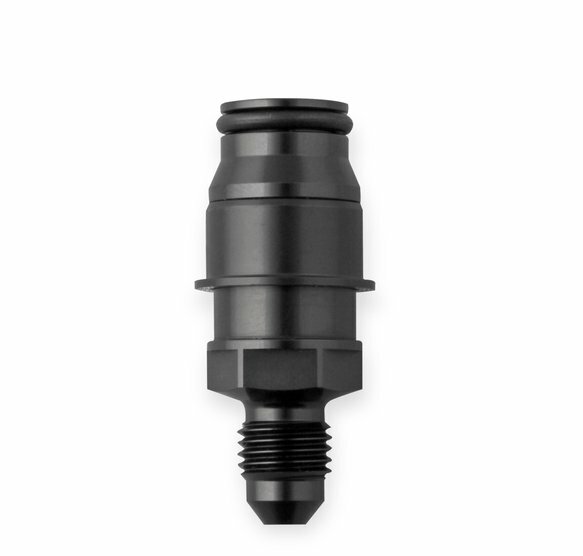 This special quick connect adapter allows fits into the metal tube on the OEM slave cylinder and allows an easy conversion to -4 PTFE lined stainless steel hydraulic clutch hose (Speed-Flex hose assembly) without removal of the transmission. 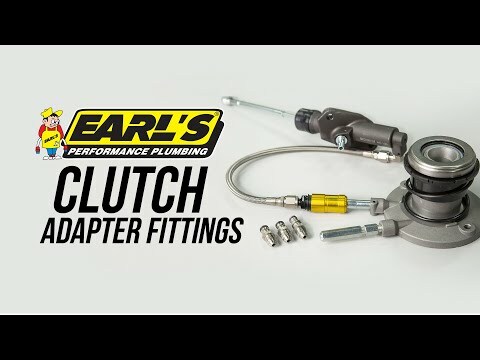 This adapter allows more flexibility in an engine swap since an aftermarket clutch master cylinder can be used & the hose length can be changed. Sold individually & includes release tool. 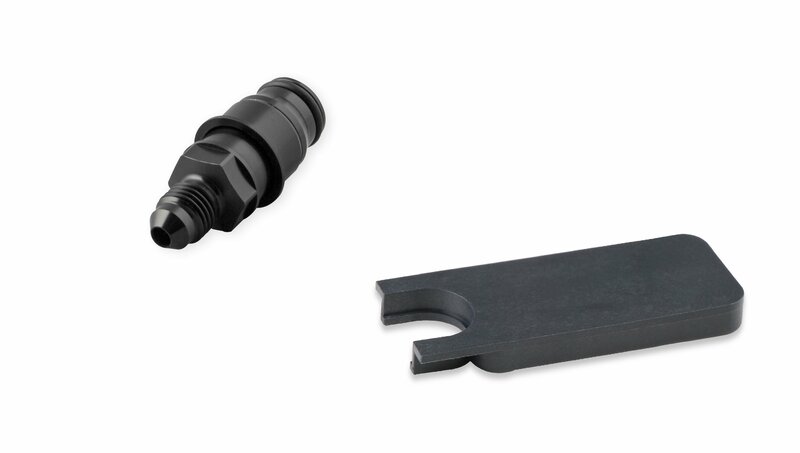 Clutch Adapter Fitting - Release Tool - Works with OEM Quick Connect on Late Model T56 Hydraulic Clutch Release Bearing & Earls # LS0024ERL.